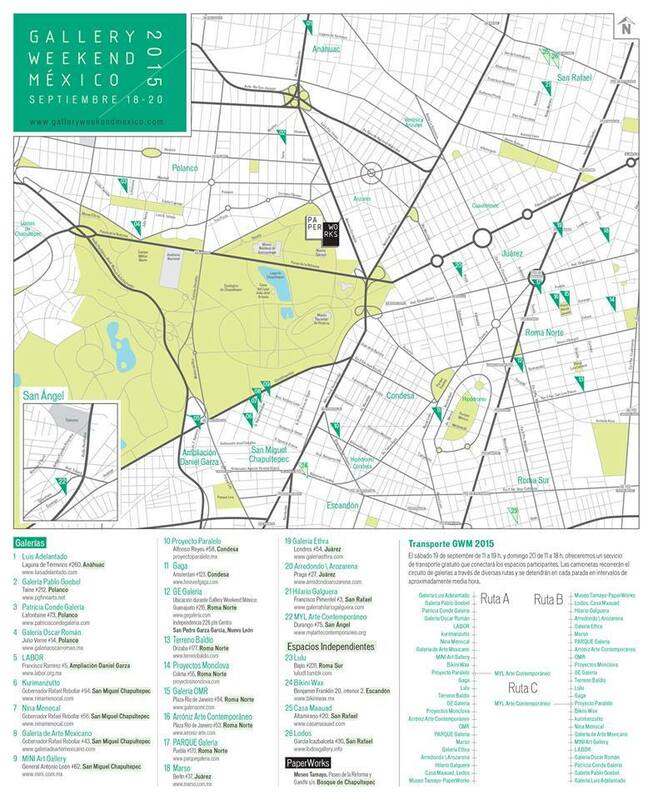 Gallery Weekend Mexico is the weekend devoted to contemporary arts in Mexico City. 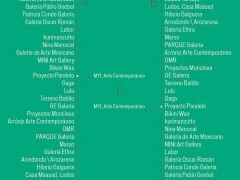 Springing from the awe-inspiring amount of high-quality artistic production in the country, this platform created by Código magazine proposes a program to be carried out annually, with the objective of gathering the artistic community with the ever-increasing number of followers and enthusiasts of recently created art. 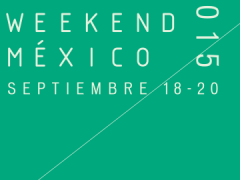 The third edition of Gallery Weekend Mexico will take place from the 18th to the 20th of September. 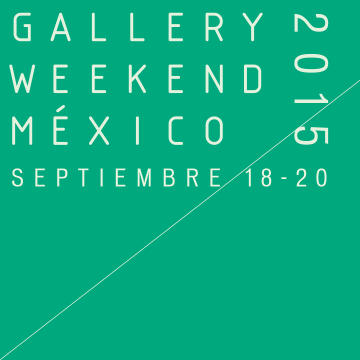 Gallery Weekend will provide attendants with a free transportation system in order to facilitate their circuit. 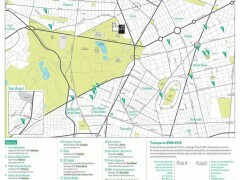 See map and circuit attached. 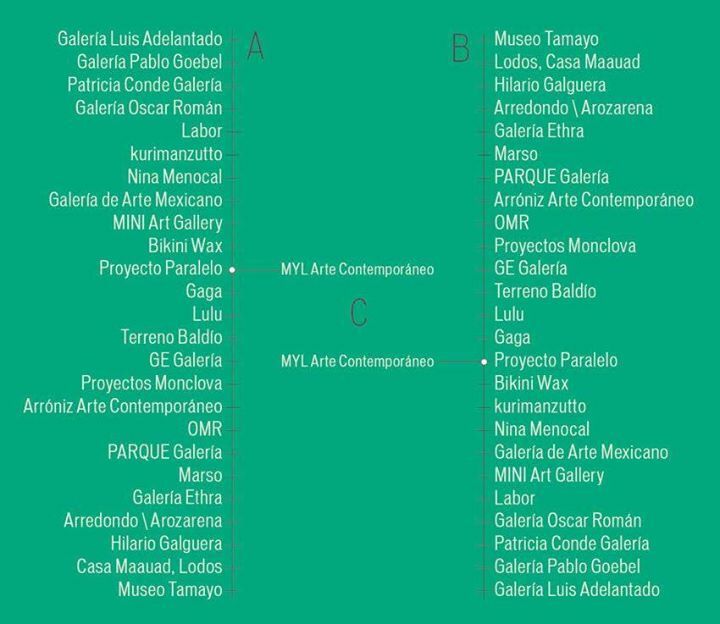 This weekend dedicated to art intends to be a space for dialog and reflection about the production and circulation of contemporary creation, as well as to promote art collecting from Mexico City. This is one event in our country’s agenda, which is not to be missed. The admission is free for all.